The Communications Market 2018 report – ‘Always on, the connected consumer’, found that people claim to spend on average, a total of 24 hours a week online, which is more than twice as much as in 2011. The use of social networking is shifting, with use of Facebook increasing among older internet users while younger users embrace Snapchat and Instagram. Simply ignoring social media for marketing is simply not an option. 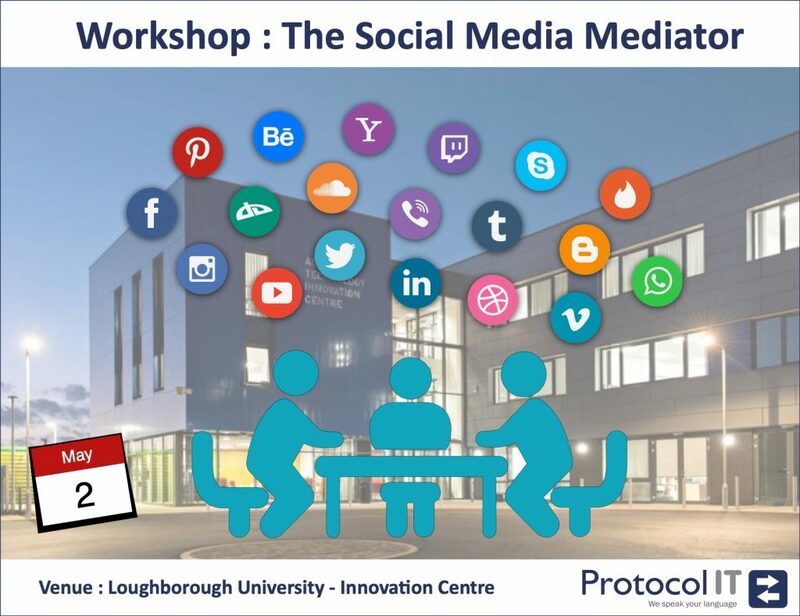 So, we’re running social media training event on Thursday 2nd May in our training rooms at the ATIC, Loughborough University. This is aimed specifically for family/civil/commercial/community/inter-generational mediation services. The workshop will include practical sessions for hands on experience, along with tips for different tools available for generating material. Places are limited to maximum of 10 people and tickets are available for £75 + VAT (early bird until 17th April ) after this £99 + VAT including tea & coffee and lunch. Paul Gadd is passionate about promoting the use of mediation. He has run social mediator training at various mediation conferences for the Family Mediators Association and the College of Mediators. Protocol IT hosts the #familymediationweek website and delivers much of the social media content leading up to and during the week. For more information fill in the signup form.